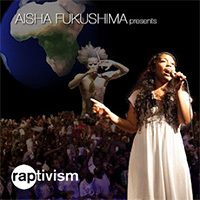 Aisha Fukushima ’09 recently released an album titled “RAPtivism,” which represents the culmination of her year-long journey exploring artists who combine rap and activism to promote social justice – what she calls RAPtivism. Fukushima traveled through Africa, Europe and Asia thanks to a $25,000 Watson Fellowship, a program offering promising college graduates a year of independent exploration and travel outside of the United States. She defines RAPtivism as a global hip hop project using music that powerfully resonates with global efforts for consciousness and solidarity against injustice. “Music and culture can actively contribute to universal efforts for freedom and equality by challenging apathy, ignorance and intellectual oppression,” said the former rhetoric and film major, who minored in French studies and women’s studies. Fukushima’s album is available at raptivism.bandcamp.com.